Two weeks ago, President Trump issued an executive order that gave a push to local police militarization. Trump’s action rescinded an Obama-era policy meant to provide greater transparency and oversight around the Department of Defense 1033 program and other federal resources that provide military weapons to local police. Contrary to what Attorney General Jeff Sessions said last month before the Fraternal Order of Police, the world’s largest organization of sworn law enforcement officers, the Obama administration did not deny “life-saving gear” like “what they’re using in Texas right now.” The Obama administration prohibited only a few military weapons, like bayonets and grenade launchers. The real centerpiece of the Obama reform was not prohibitions but checks on the types of military weapons law enforcement could get, like mine resistant ambush protected (MRAP) vehicles, grenades, and drones. The Obama administration’s reforms required that law enforcement verify with the federal government that training and oversight requirements were in place for the weapons of war it was soliciting from various federal agencies. As the Obama administration believed, “requiring approval or concurrence by the governing body is a significant way to involve representatives of the community, through its elected leaders” in the decision to bring armored vehicles and flash bang grenades to town. The ACLU and numerous other organizations from across the political spectrum have been advocating for local laws that enshrine the requirement that surveillance technologies — including those of military and intelligence-agency grade — may no longer be acquired or deployed by local police departments without city council approval. Beyond this approval requirement, the Community Control Over Police Surveillance (CCOPS) effort’s model bill also mandates that the process be highly transparent, maximize community input, focus on potential civil rights and civil liberties impacts, and requires continuing city council approval and continuing oversight. In just a little over a year, we have secured CCOPS laws in Seattle, Nashville, and Santa Clara County, California — home of Silicon Valley — and have active efforts underway in 18 additional cities. The same rules and standards that apply to surveillance technologies should also apply to the acquisition and deployment of military grade equipment by local police forces. That is why we are unveiling a new Community Control Over Police Surveillance + Militarization (CCOPS+M) model bill. The legislation will function as a powerful check on Trump’s recent executive action — and other aspects of his political agenda — by requiring city council approval before local police acquire or deploy any military grade tactical equipment or surveillance technologies. Second, the acquisition and deployment of military grade equipment and surveillance technologies pose a significant threat not only to the public’s welfare but also to their civil rights and civil liberties. And it is especially important in today’s political climate to recognize that certain groups — like immigrants, persons of color, certain religious communities, and political activists — have historically been and currently are far more likely to be targeted by military-grade tactical equipment and surveillance technologies than others. As such, these groups face even greater threats from their acquisition and deployment. Simply put, the threats these groups were facing were already extreme, and Trump’s executive order just made them worse. Third, the cost of operating and maintaining “free” military equipment and surveillance technologies can be very high. For example, operating and maintaining police drones, body cameras, or MRAPs can easily cost millions of dollars a year. Whether you think such expenditures get in the way of investing in more important social and community development programs or in the way of a tax break, these costs should not be taken lightly. Finally, CCOPS+M laws are justified by simple principles of good government. 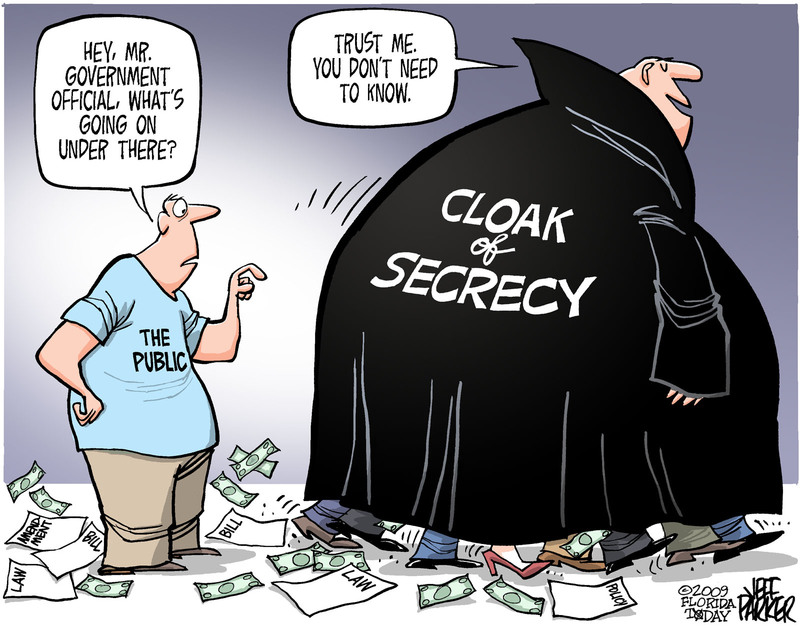 Government works best when it is transparent and subject to strong public participation. We already know that where local police have unilateral authority to acquire military equipment and surveillance technologies, they frequently choose to do so. Such approvals would not be as automatic if they were subject to public debate and city council consent. Insofar as we want our local government, including its police force, to act in accordance with the will of the people, it only makes sense for local laws to prohibit police departments from acquiring and deploying this equipment and technology without public input and city council approval. USA policies have whittled away our civil liberties for decades ...Standing Rock was PROOF of governments complete and total disregard for the freedom of speech and to assemble...ppl SHOULD be VERY concerned about Trumps Executive order, and the direction he's taking and he is CLEARLT NOT interested in protecting the quality of air, water or the Earth in general...so when this continent splits apart like puzzle pieces from all the fracking...you will WISH you'd have advocated for the ACLU !! !